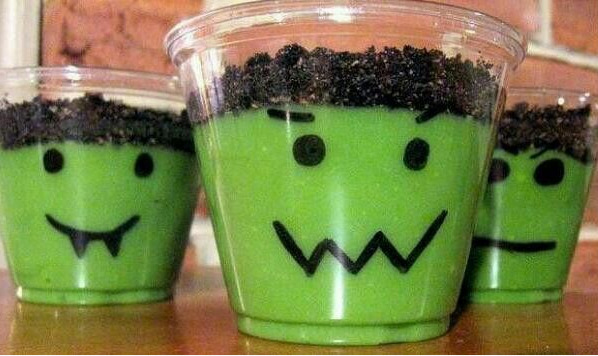 Easy Halloween treat for kids to make: vanilla pudding with green food coloring a plastic clear cup, a sharpie and crushed up oreo cookies. 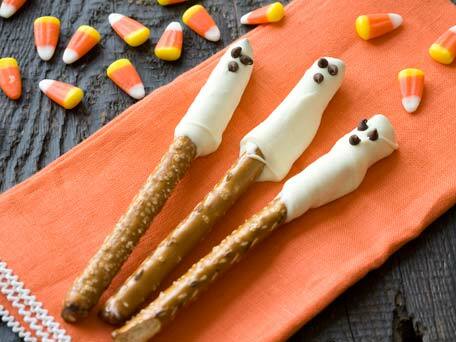 Ghost Pretzel Sticks from Kitchen Daily. These are simple and cute. Keep them healthy too by using Snikiddy Grilled Cheese Puffs. 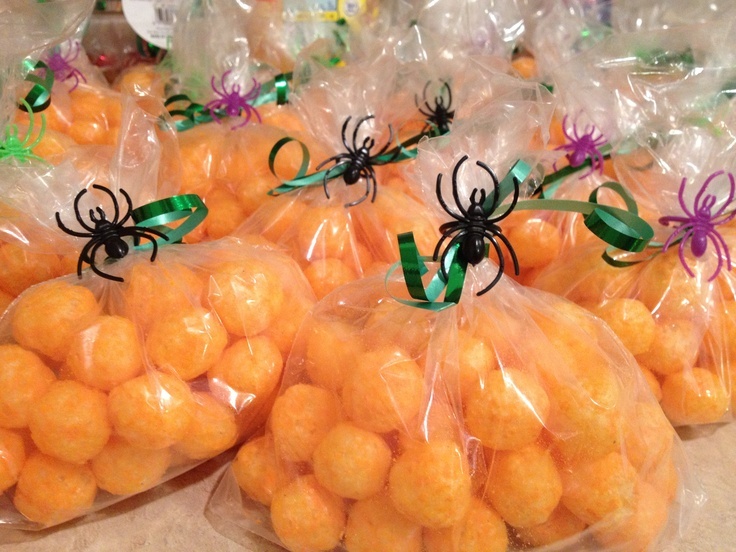 Put them in a plastic baggy seal with ribbon and add a cute little take away like a spider ring. 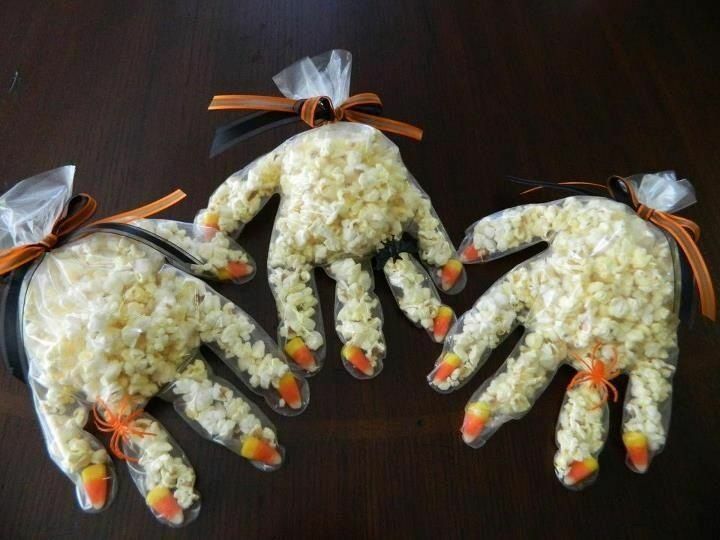 Spooky Halloween popcorn hands. These are spooky and cute. I did a little research and you can purchase non-toxic, non-color sanitary plastic gloves on ebay. You can buy them in bulk 150 pieces for around $4.00. Make sure they are non-toxic. Candy corn and popcorn sounds like it would be delicious together too. Yum! Eeeek! 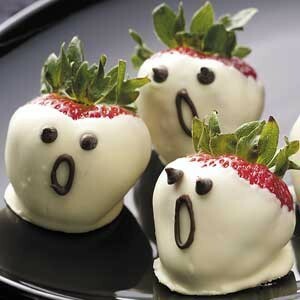 It’s a Strawberry ghost. Stuffed Pepper Heads. 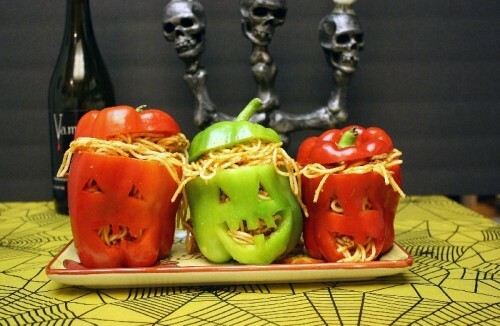 Check out these awesome Halloween Stuffed Peppers at Megan’s Cookin. 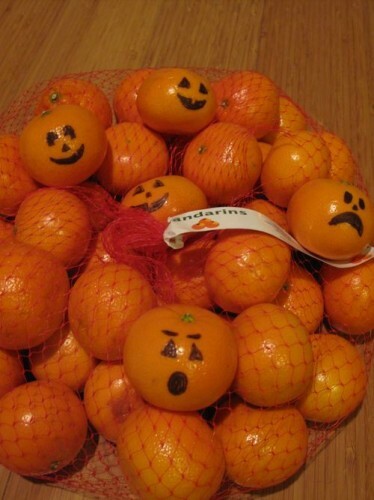 And these mandarin oranges with a Jack-o-Lantern face from Under Construction. This would be an fun activity for a Kindergarten class, or something to hand out at a Halloween party. 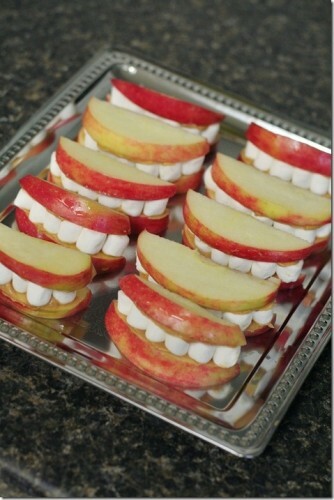 I’ve made these Apple Bites from Workman Family several times for my boys. They look easier to make then they really are. I think this takes a bit of skill and patience. Frankenstein Rice Crispy Treats from Whipperberry. 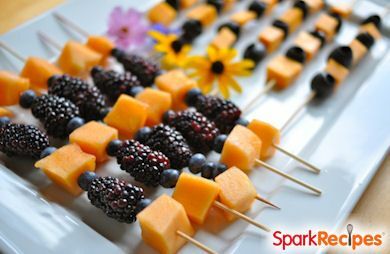 Orange and Black Kebabs sweet recipe by Spark.